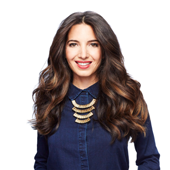 Marie Forleo is a fitness/dance instructor turned online entrepreneur. She's the creator of B-School, an 8 weeks online business training program. Subscriptions to the program are only open once a year, and each time thousands of students invest in her course. This makes B-School a multi-million online business and the program has been going strong for over 5 years now. Recently, when looking at the website, I noticed she was doing some very smart things with testimonials. When somebody with that kind of success does something interesting, you pay attention and try to learn... And that's exactly what we'll do in this post. Take a look at the homepage of the B-School website. Because subscriptions for B-School are currently closed the main goal of this page is lead generation. You can see the 2 opt-in forms on the top and the bottom and the rest of the homepage is almost exclusively about social proof and building trust. Each one of these links goes to a separate page, full of testimonials. "Wow, three pages with only testimonials? Isn't that a bit overkill?" Testimonial Page 1: What's a reason NOT to buy? When you go to the first link you'll discover a page full of short testimonials. What's interesting about this page is how the testimonials are grouped. They are grouped to answer specific objections somebody might have before investing in B-School. Rather than tooting her own horn, Marie let's B-School grads answer the questions and diffuse the objections. You might not trust the creator to give you an honest answer to your objections (in the end they want to sell you something) but if students tell you they had the same objections but the program helped them overcome them you'll listen. Use snippets of testimonials to answer the specific questions future buyers might have before investing in your product or service. The second link goes to the "In their own words"-page. The look and feel of this page is completely different from the first testimonial page. This page is not meant to diffuse specific objections, but to show real and relatable B-Schoolers. No matter what age or what country you live in, you'll find somebody just like you who's already gone through the program. It also does a terrific job in painting an attractive "future vision". Your future client is not looking to buy your product or service, they are looking to buy the OUTCOME your product or service will bring. Having kids and a business: "Before B-School, I thought the birth of my child meant the death of my dreams. I couldn’t see how building a business AND raising a child could coexist." Having more confidence and knowing the business is going to succeed: "My new clients valued me and truly appreciated my craft and that was an incredible feeling. Soon money was no longer an issue and I felt free to enjoy life." Freedom: "I can work from wherever and on my own terms." Use snippets of testimonials from different types of clients to paint an attractive, relatable future vision for your soon-to-be clients. Most online content is short form because of the limited attention span we have while browsing a website. But there is a time and a place for long stories. Marie and her team actually did a worldtour to capture these experiences on camera​. Doing this is very expensive, so I'm guessing they wouldn't be doing it if they weren't sure this would bring in more sales. Don't shy away from long testimonials, people who are interested in your product or service will take the time to read the whole story. While it is true that she now has tons of testimonials and can cherry pick the best ones, this didn't happen overnight, nor on accident. 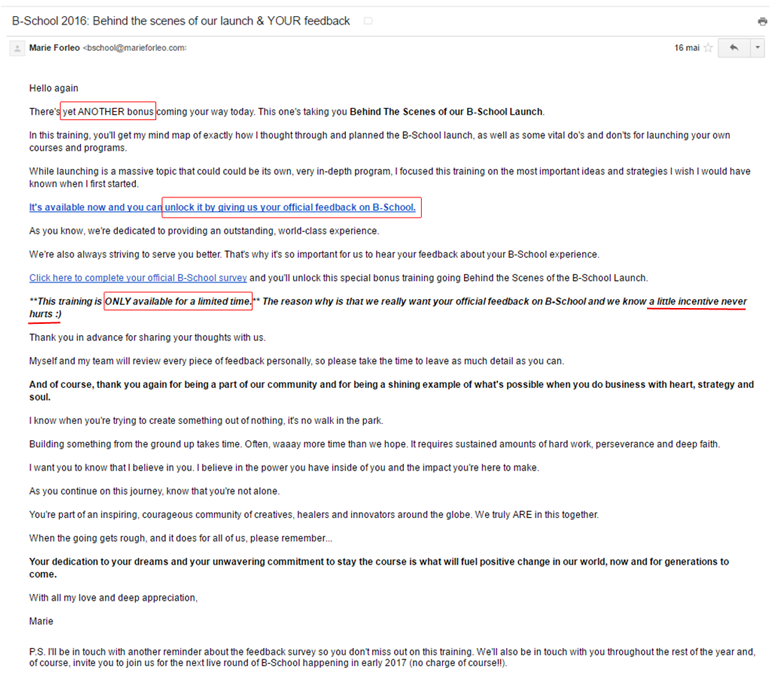 "Success doesn’t come from what you do occasionally, it comes from what you do consistently"
Let's take a look at the emails she sends - consistently - to all B-School grads. Email 1: Fancy a Bonus? Marie Forleo is doing something very smart here, she gives a bonus for those who leave a testimonial. Testimonials are typically the thing everybody plans on doing one-day-maybe. By giving a special bonus and a specific time limit, she taps into the natural fear of missing out. Use incentives and time limits to increase motivation to leave a testimonial. In Thrive Ovation, you can specify a "Thank You" URL after your clients submits a testimonial. This is the perfect occasion to deliver a bonus without any hassle. Email 2: Did You Have Time Yet? The second email is send out 4 days later. This is simply a reminder about the survey and the bonus. Email 3: Don't Miss Out! Finally, 6 days later the third and last email arrives. This email is the final reminder about the survey, the day before it disappears. Don't be afraid to send reminder emails! This is where the "limited time bonus" offer comes in handy. Because instead of annoying your clients about giving you a testimonial, you remind them not to miss out on an opportunity. To be able to get testimonials that address specific objections, show off tangible benefits and tell interesting stories, you'll need to ask the right questions. How did you feel before joining Marie Forleo’s B-School? How did B-School help you change your business and life? What are some big wins that you produced after B-School? Describe your life after B-School. As you can see, these questions invite the student to tell a story. They can't just answer yes or no. Chances you'll get a good testimonial, or at least a good snippet, will increase dramatically with the right type of questions. Ask multiple questions that will invite your client to open up and tell their story in their own words. 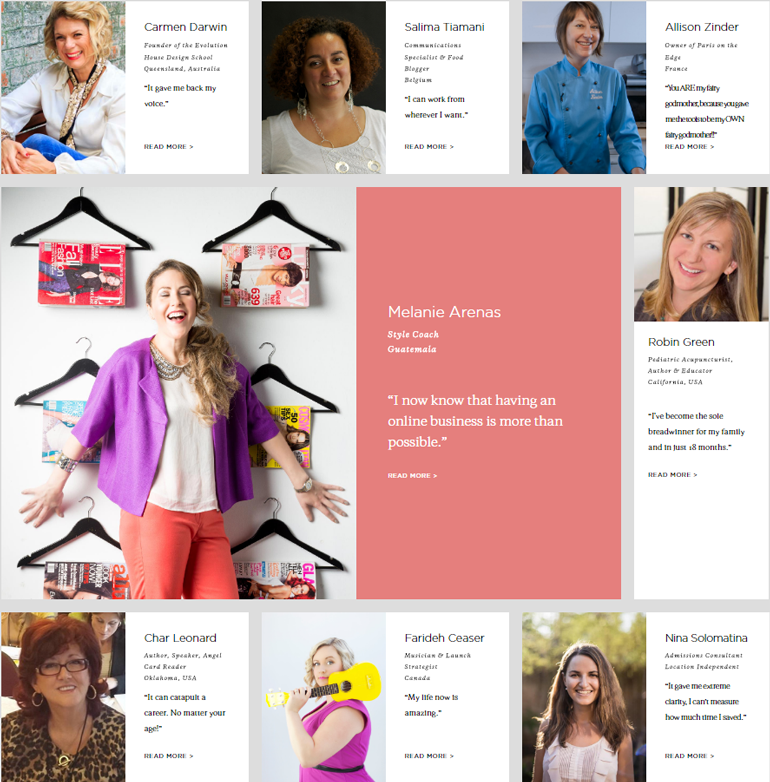 This is very easy to do with the testimonial capture pages in Thrive Ovation. By now, I'm guessing your head is filled with ideas on how to use testimonials on your website. I know mine is! 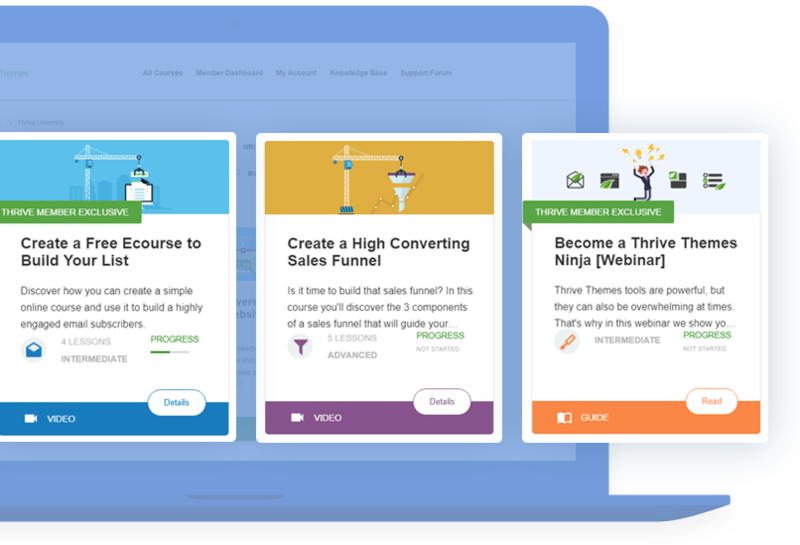 The good news is, you can implement all these strategies today in your own business with our all-in-one testimonial plugin: Thrive Ovation. Create testimonial capture pages on which you can ask specific questions to gather better testimonials. Manage all your testimonials from within the WordPress Dashboard. You'll be able to create snippets with the click of a button. 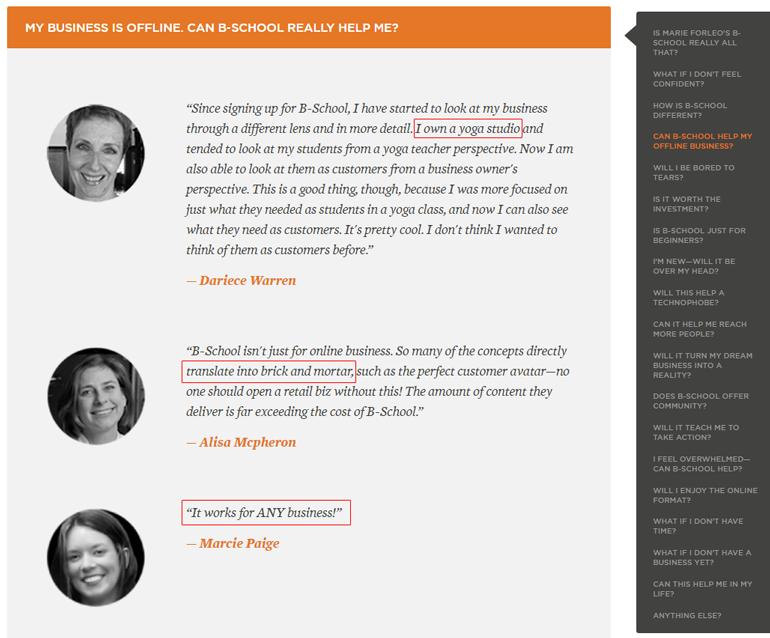 Display the testimonials and snippets anywhere on your website. Simply select one of the professionally designed templates and customize them to fit your brand. So don't let technology be an excuse for not asking and leveraging testimonials. Did you find this analysis interesting? Did you find anything surprising? What technique are you going to implement in your business? Excellent. Great analysis. I’d like to see more of reviews and analysis of successful internet marketers. So much more solid than some “theory” of how to do it. It’s pretty much “nuts & bolts” of how they do it! Hi Art, that’s exactly it! As usual, a great breakdown and analysis of the strategies of a successful site. Thank you. As a counsellor, I have difficulty soliciting testimonials for my services. Do you have any suggestions on what I could do instead? I know some counsellors show anonymous testimonials and some get them from colleagues instead of clients. Endorsements from colleagues are certainly one way to go (as long as you make it clear that those are not clients) and anonymous testimonials are better than no testimonials (in Thrive Ovation you have the possibility to use the testimonial capture form without photo so that you do not scare clients away). Thank you, Hanne! Marie is a master marketer. Thanks for breaking it down like this. Agreed Chantal, she definitely knows what she’s doing! Do you know how she gets people to give her high quality photos of themselves too? I find that’s the hard part. Hello, this is something I also would like to know. What I have done in the past is that you ask for their email on the testimonial form (or you receive the testimonial by email so you already have the email of the client). Then you search that email on Facebook, then on Twitter and then on Google +. The client will most probably have an account on FB or Twitter or a gmail account, so about 50% or more of the time, you will get a good picture from that account of theirs. Even if the picture is not very high quality, still showing any pic helps in conversions and making it believable. Hope this tip helps you. I would only do this if the person knows about it. Personally I would feel a bit icky if I would see someone copied my picture from one of my social media profiles without asking me first. That’s one of the reasons why in Thrive Ovation we included a picture capture field that automatically searches for the Gravatar picture and that allows the user to upload their Facebook profile picture in one click. For the big pictures I’m guessing she contacts them afterwards. Being featured on the B-School website is quite an honor so I’m figuring many people are happy to give a high quality picture. Nice post. I learnt quite a bit about the value of testimonials, especially for a what I’m assuming to be a high dollar value product. Also, the website and course appear to be focussed completely towards women, so they have done a good job of identifying their target market. Of course you can teach business concepts to men too, but keeping the focus on just women means they will do a better job of relating to the needs of their target audience. Yes B-School is around 2000$ so high dollar product. And Marie knows her market very well. B-School (and the Marie Forleo brand) has always been targeted to women even though their are men who resonate with the message and follow the training as well. Like usualy, excelent job Hanne! Thank you! I know, right? :) We can all learn from studying the big guys! Very helpful article, Hanne. Never thought about grouping testimonials for different purposes. What a great marketing tool. Your insights have made me realize I need to be more active in acquiring testimonials. Offering a bonus as a thank you for leaving a testimonial is a great idea, as is directing the customer with specific questions. Thanks! This was excellent, Hanne. Perfect timing as I’m putting together a reputation presentation! Thanks for all your hard work and the value you bring. Hanne, super post! Package this together along with some other articles into a Testimonials TUNI course! Thanks! In Thrive university you’ll find a course about testimonials already but I’m going to link this article up at the end of the course, thanks for the idea! Thank you Hanne! I found the breakdown very helpful. Really interesting and inspiring. Would love to read more analysis from Hanne. I have learnt alot. Thank you. Thank you Samantha. We’ll keep them coming! Excellent post, as usual! And perfectly timed, as I get ready to ask my crew for testimonials! Thanks! PS: isn’t giving something in exchange for a review illegal in the States? Where is Marie based? I’m not a lawyer so you should always check but I’m guessing that giving away something that has no “real” value (such as a bonus video that is not sold anywhere else) is not considered as illegal. But again that’s just me guessing here! This is another great video from you. I use hrive ovation and its excellent tool for my landing pages. Thanks for showing us the mail she sent it was very halpfull. This simply couldn’t have come at a better time as I was about to write the email asking for feedback! Now, I’ve included a thank you gift if they give feedback by a certain time. I have gone through Marie’s website and she has done an amazing job. She is handling her testimonials like a portfolio. Many women are there with the dream to have a perfect body and they acquire to have a desire of happiness. Marie is helping many people from all around the world. I would surely like to use the Thrive ovation plugin which can totally change the outcome. The quote mentioned in the article about consistency is motivational. Thanks for sharing this case study with us. This article gave me a smart way to use now my thrive ovation plugin.. Thank you! Yes, testimonials and case studies can be great ways to get businesses. I do not know why companies do not use them in the right way. Be it education, health or any other sector where people need to gain trust in order to invest money and time, testimonials can work wonder. Great example and advice, thanks Hanne! I’ve seen so many (and have collected quite a few myself) “general testimonials”, all of which that say how great the services they’ve received. They can be bland and uninteresting to read… I’ve never thought of grouping testimonials by type, or making them a question & answer style. It’s a good discovery for me. Great video too, thank you! I look forward to giving it a try using Thrive Ovation. Glad you liked it Nicci! Great video and content again Hanne. Marie seems to have done a killer job of here site and marketing. As usual, awesome case study Hanne! Ovation was a big reason I joined TT and this is a great blueprint to follow. Cheers! Thanks Randy, I’m glad to hear that! Marie Forleo is the best. I recently joined here B-School and it’s fantastic, glad you featured her your blog! Thank you! I came across this by accident but it was def worth the detour!